2015 has been a memorable year and we thank you for the pleasure of working with you. 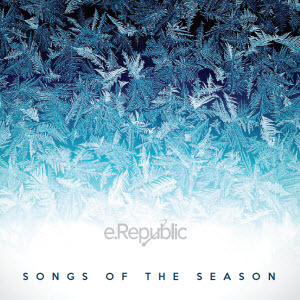 This thirteenth annual holiday CD – ‘Songs of the Season – was recorded by individual staff members and the e.Republic choir. We hope you enjoy it. From all of us at e.Republic, including the Governing Institute, the Center for Digital Government, the Center for Digital Education, and our publications: Governing, Government Technology, Emergency Management and Public CIO, we wish you a happy, healthy and prosperous 2016! Music arranged and performed by Musician/Composer/Audio Engineer Henry Robinett. Special thanks extended to Henry Robinett for his musical arrangement and production of Snow and Auld Lang Syne, as well as for his talented audio production and engineering work on this holiday CD. Special thanks to Nico Mendoza for his musical arrangement on That’s Christmas to Me.